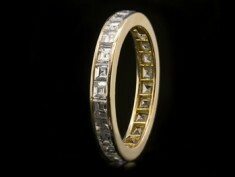 The baguette cut, from the French for ‘long rod’, is typically a slender rectangular cut with parallel facets. 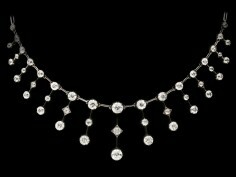 Baguette cuts with their unusual arrangement of facets work the light in a very different way from round stones, rejecting the traditional ‘sparkle’ associated with diamonds and instead glinting with bright flashes when catching the light. 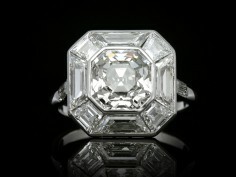 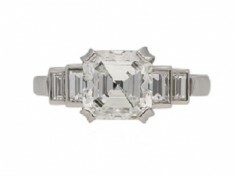 This cut of diamond was first developed in the 1920s when there was a changing trend towards geometric crisp straight lines - typical of the Art Deco era. 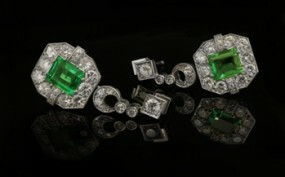 Baguette cuts can be seen occasionally as an eye-catching central focal point in a piece of jewellery, however most often are used as highlights, flanking a central gemstone. 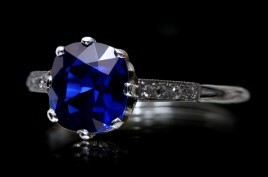 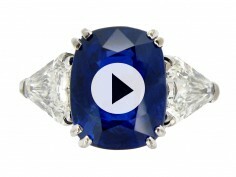 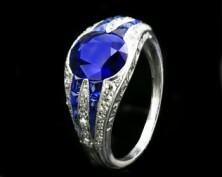 Sapphire: The birthstone of September. 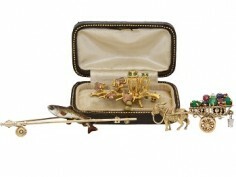 ‘Frida Kahlo: Making Her Self Up’ – The personal items behind the icon. 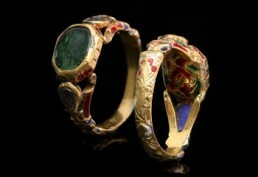 JEWELLERY IN ART - RENAISSANCE JEWELLERY FROM THE ARNOLFINI PORTRAIT. 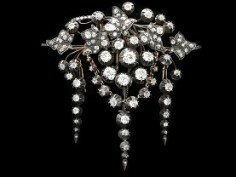 House Style: an exhibition exploring five centuries of fashion and adornment at Chatsworth House. 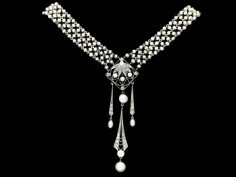 2017 Spring Fashion: a Throw Back to the 1980s! 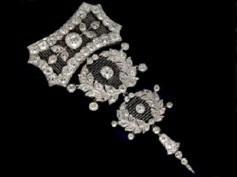 ‘Diana: Her Fashion Story’ – An Exhibition of Garments Owned by Diana, Princess of Wales at Kensington Palace. 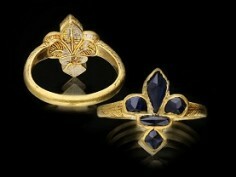 Discover the innovative Neo-Gothic creations of Jules and Louis Wièse. 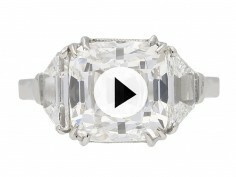 Watch our latest video exploring the evolution of the diamond cut. 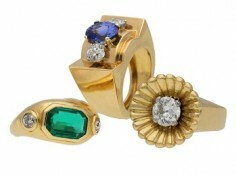 With the end of this year's London Fashion Week enjoy our top picks of the season. 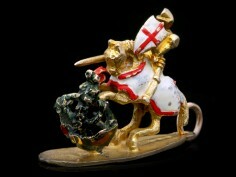 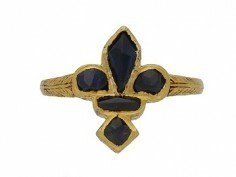 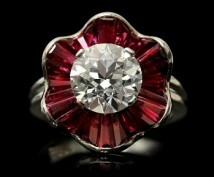 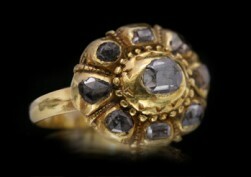 The intriguing story of the Duchess of Lancaster Posy Ring. 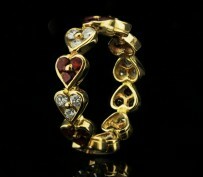 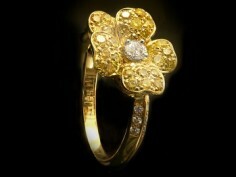 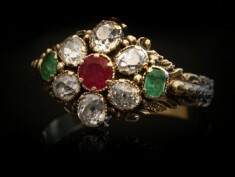 Find the perfect piece of ancient, antique or vintage jewellery for the one you love. 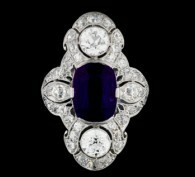 The second part of our Boucheron feature looks at the development of the firm from the Post-War period until the present day. 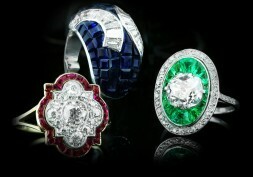 Discover more about the House of Boucheron in this two-part feature. 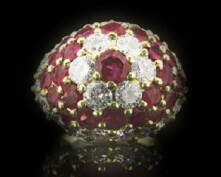 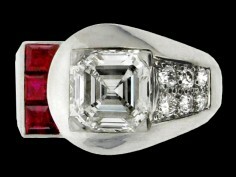 The Evolution of Style: Ruby Coronet Cluster Development over 200 Years. 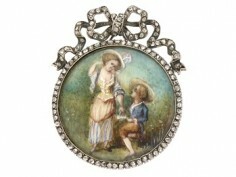 Sunday 6th March is Mother's Day - explore the history of this holiday. 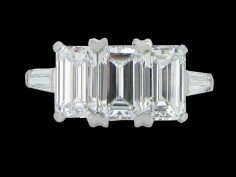 The baguette cut, from the French for ‘long rod’, is typically a slender rectangular cut with parallel facets, first developed in the 1920s. 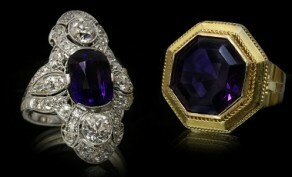 Amethyst. 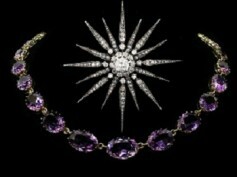 The essence of the colour purple. 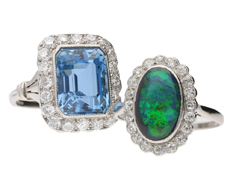 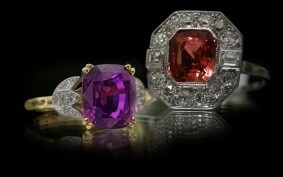 Discover facinating colour and history of February's birthstone. 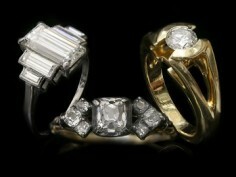 Learn about the first true diamond cut. 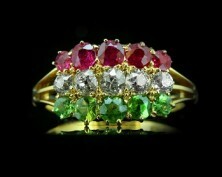 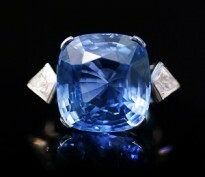 Learn more about one of the world's most coveted gemstones. 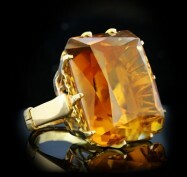 Discover our exclusive antique collection of topaz and citrine jewellery to treat your beloved ones with an unique present this month. 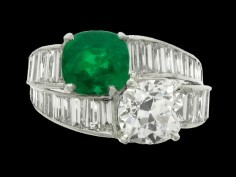 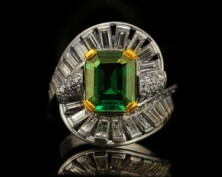 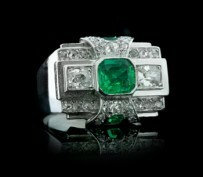 Watch our video about emeralds, one of the most precious gemstones used in antique jewellery. 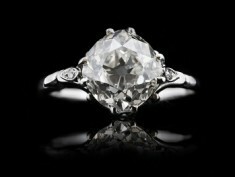 Elegant marquise shape diamonds are an attractive and remarkable choice for a special piece of jewellery, read further about this fancy cut here. 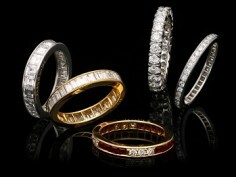 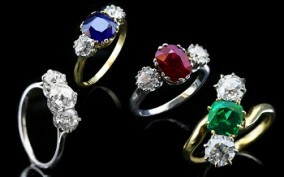 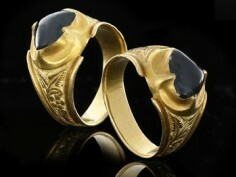 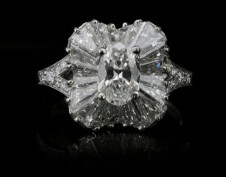 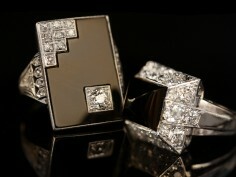 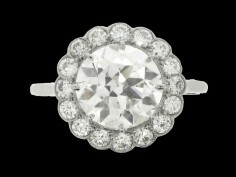 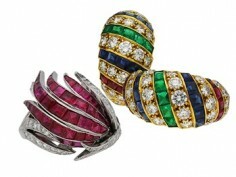 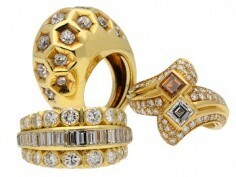 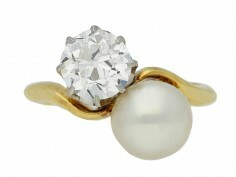 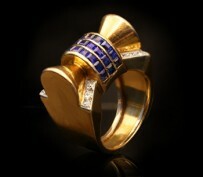 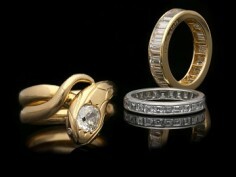 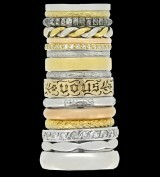 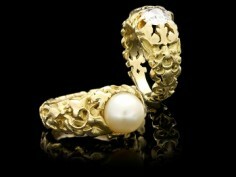 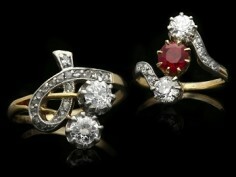 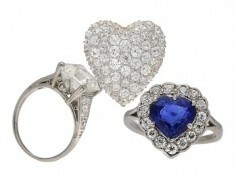 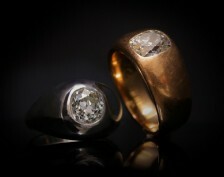 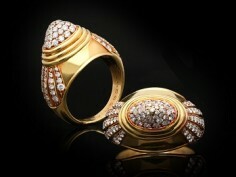 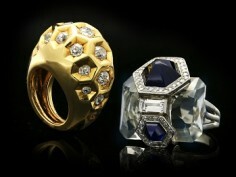 ‘Bombé’ rings have an appealing rounded curving shape, click here to read more about this interesting group of rings. 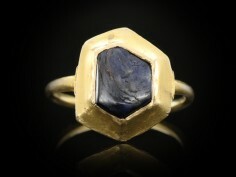 Add a little sparkle or colour to his finger this Father's Day, choose from our wide range of antique and vintage gemstone rings. 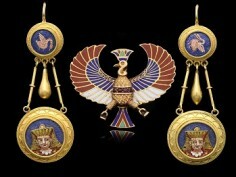 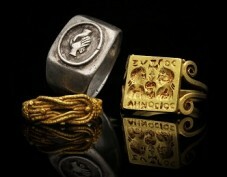 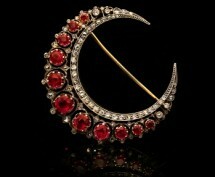 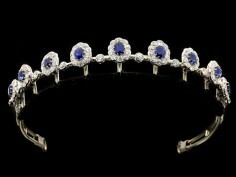 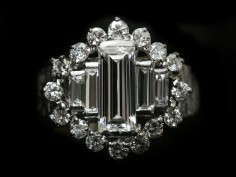 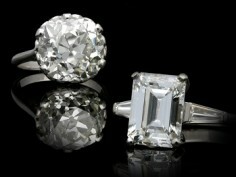 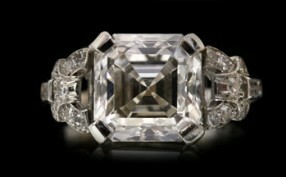 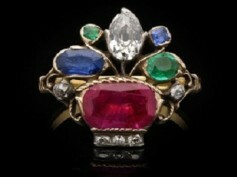 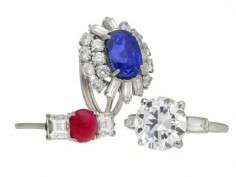 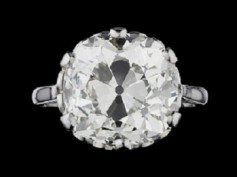 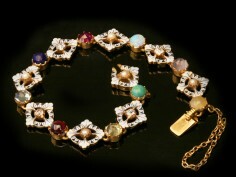 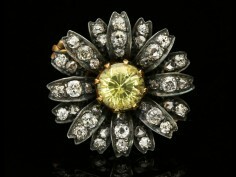 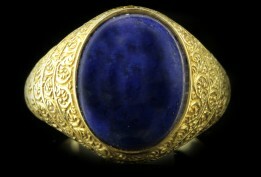 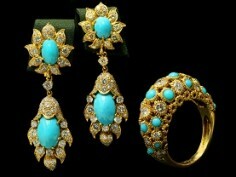 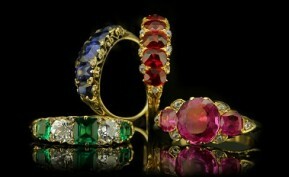 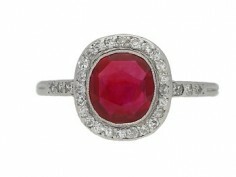 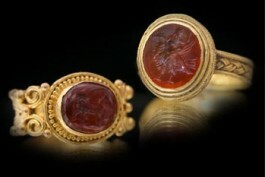 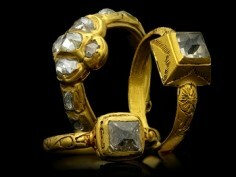 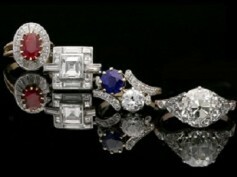 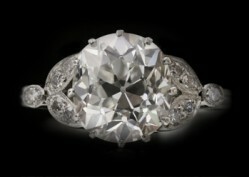 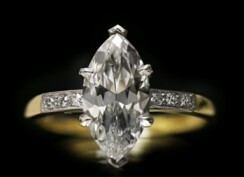 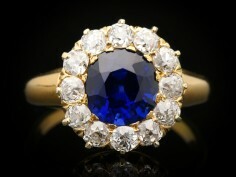 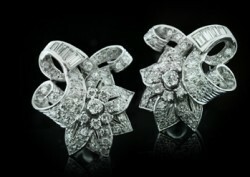 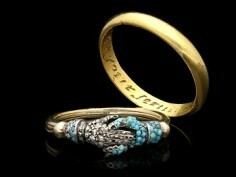 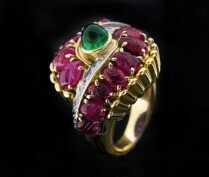 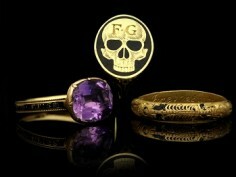 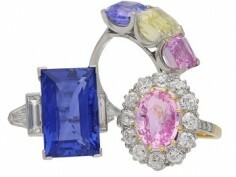 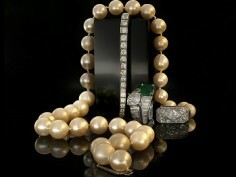 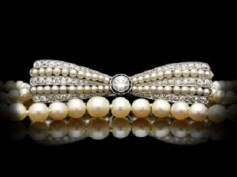 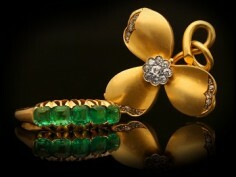 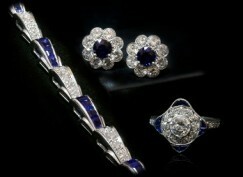 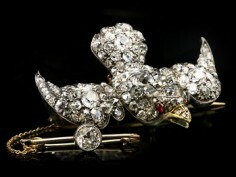 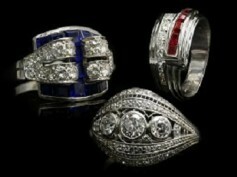 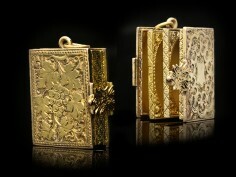 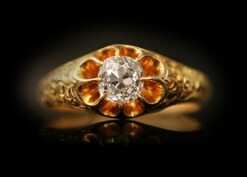 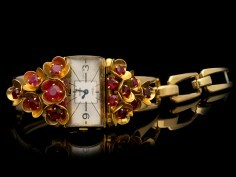 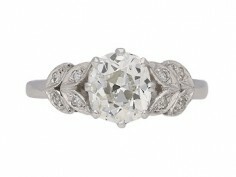 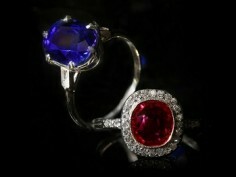 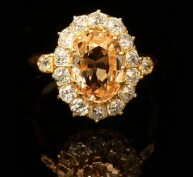 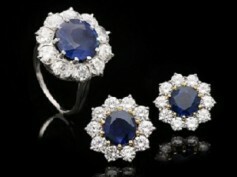 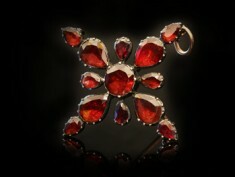 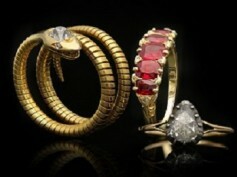 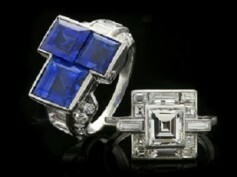 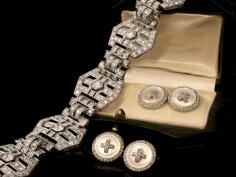 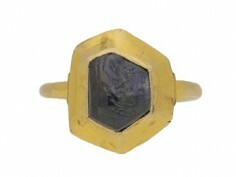 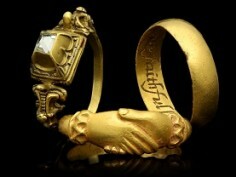 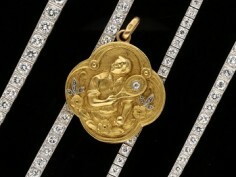 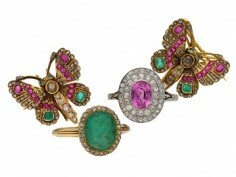 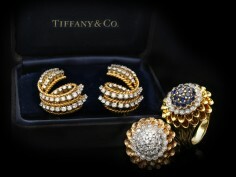 When considering a piece of ancient, antique or vintage jewellery, often there is more to the piece than meets the eye. 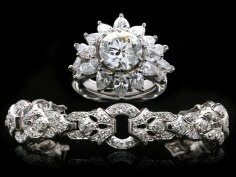 Learn more about the meaning behind popular motifs used in antique jewellery. 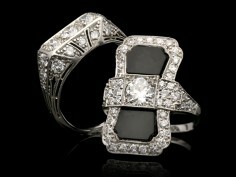 The cut of true Art Deco elegance. 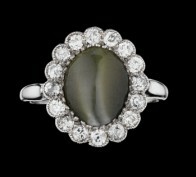 "With this ring, I thee wed....."
Onyx provides elegance and striking contrast when paired with diamonds in Art Deco designs and has remained popular throughout history since ancient times. 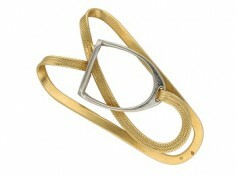 Rediscover the beauty of this versatile material. 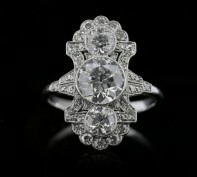 The 1940's was a time when jewellers experimented with different shapes, including motifs inspired by nature and large colourful gemstones. 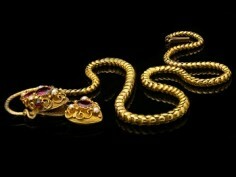 Learn more about this interesting period in jewellery history. 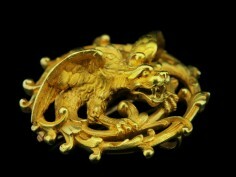 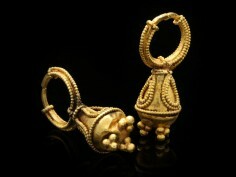 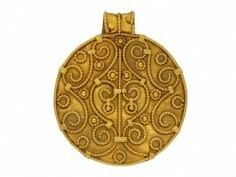 Survivals of Ancient Celtic jewellery are incredibly rare. 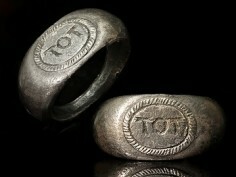 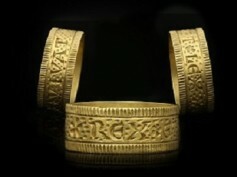 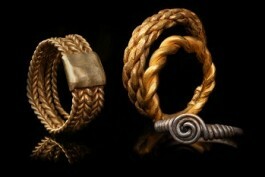 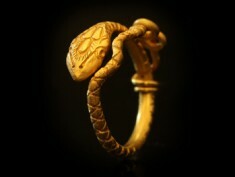 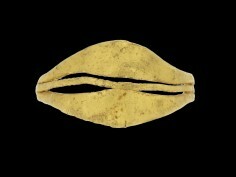 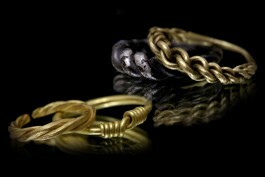 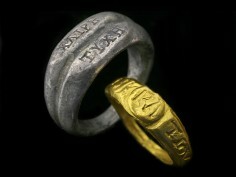 Learn about jewellery worn by the Celts and discover the Ancient Celtic rings in our collection. 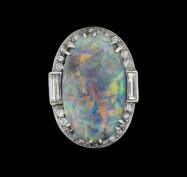 Moonstone has been known for its beautiful shimmering light effect since ancient times when it was believed to be made of the rays of the moon. 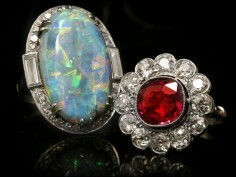 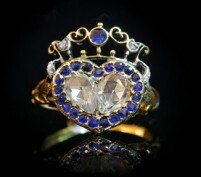 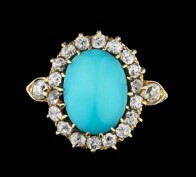 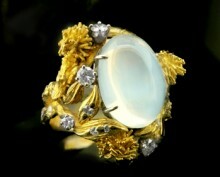 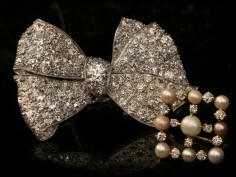 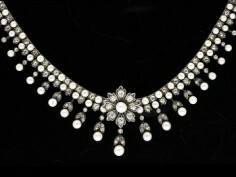 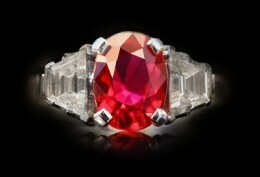 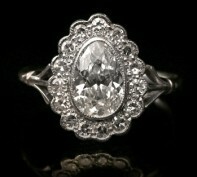 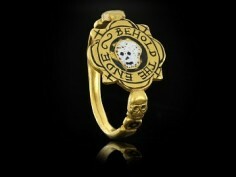 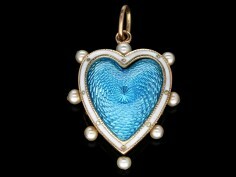 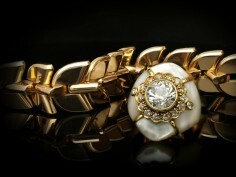 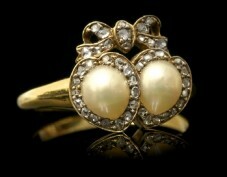 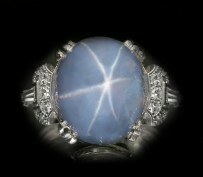 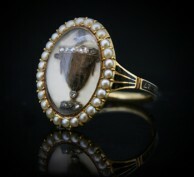 Click here to see our unique selection of antique moonstone jewellery. 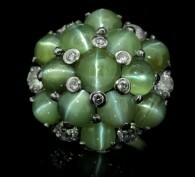 Chrysoberyl is an unusual and often unknown gem in jewellery -purely due to its rarity. 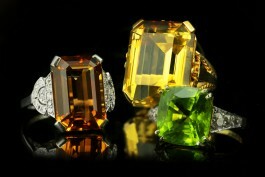 Click here to discover the three types of chrysoberyl. 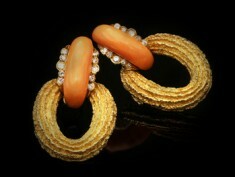 Vintage earrings of the 1960’s and 1970’s - A History of Earrings: Part 9. 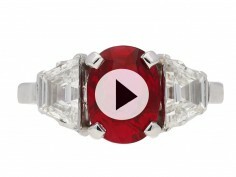 Our final instalment is here! 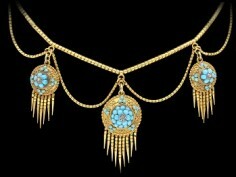 Featuring the fabulous vintage designs of the 1960s and 70s. 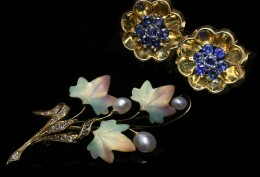 Vintage earrings of the glamorous 1940’s and 1950’s - A History of Earrings: Part 8. 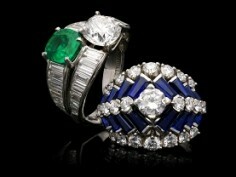 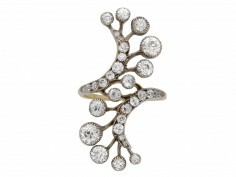 The 1940's signified a shift in jewellery design. 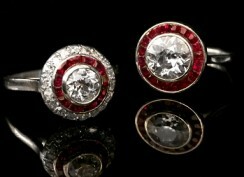 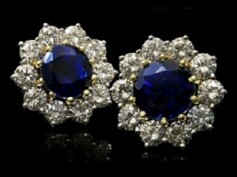 Read our new earrings feature here to find out why. 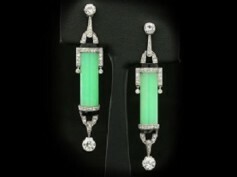 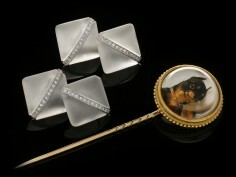 Art Deco earrings of the 1920’s to 1930’s - A History of Earrings: Part 7. 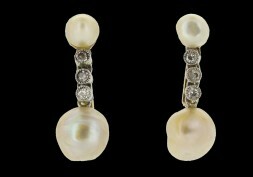 Antique earrings - The Edwardian period including Belle Époque and Art Nouveau - A History of Earrings: Part 6. 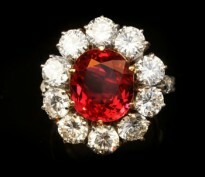 Queen Victoria reined from 1837 to 1901, a total of 64 years. 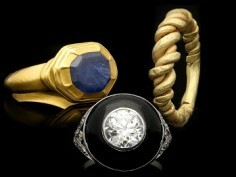 Across this period, there were three prominent jewellery trends. 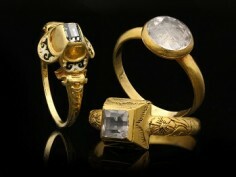 In this article we outline the final part, the Late Victorian period, from 1885 to 1901. 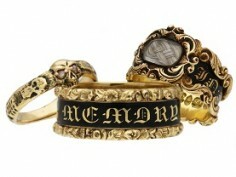 Learn how themes of death and remembrance appear in antique jewellery. 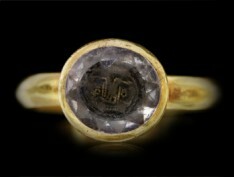 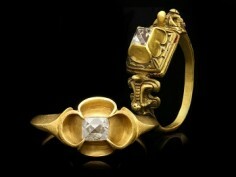 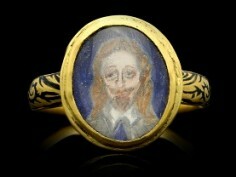 Stuart Rock Crystal Love Knot Ring, 17th century. 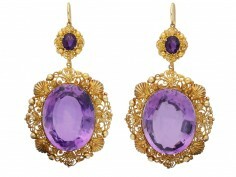 Antique earrings: The Middle Victorian Period 1860 - 1885 - A History of Earrings: Part 4. 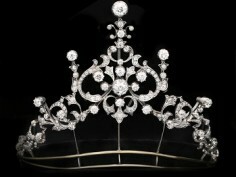 Queen Victoria reigned for a total of 64 years. 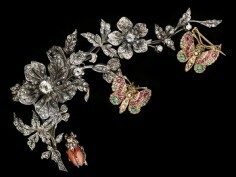 Across this period, there were three prominent jewellery trends. 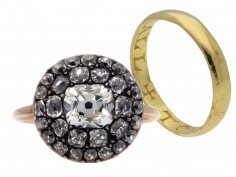 In this article we outline the second part, the Middle Victorian period, from 1860 to 1885. 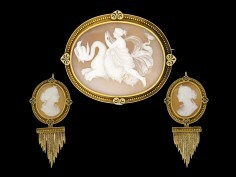 Antique Earrings: The Romantic Period 1837 - 1860 - A History of Earrings: Part 3. 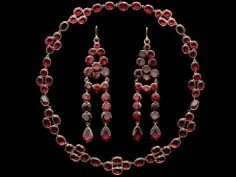 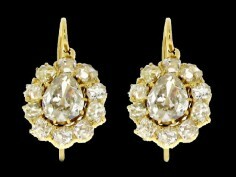 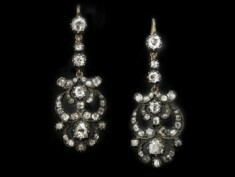 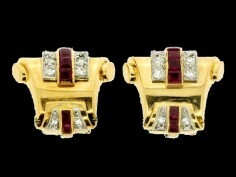 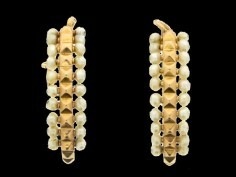 Continuing with our popular earrings feature, this week we begin to look at the Victorian period. 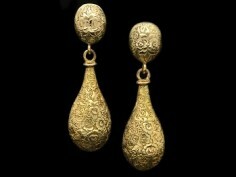 Antique earrings: Middle ages to Georgian - A History of Earrings: Part 2. 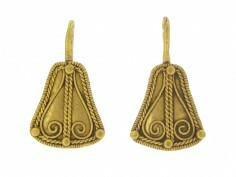 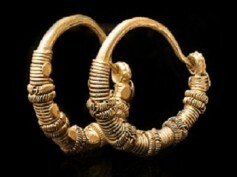 Here is part 2 of our research into the fascinating history of earrings! 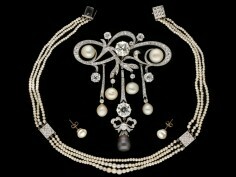 Downton Abbey is now airing its 5th series- set in the 1920s! 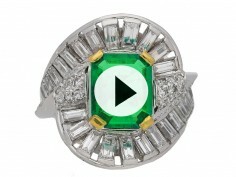 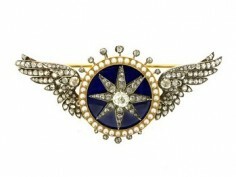 Take a look at the fabulous Art Deco jewels worn by the characters. 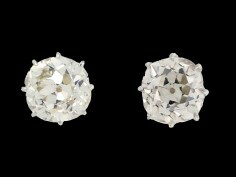 Enjoy part one of our brief history into the world of earrings, beginning with The Ancient World courtesy of our knowledgeable staff at Berganza Jewellers. 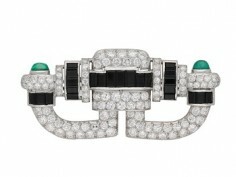 What is Art Deco? 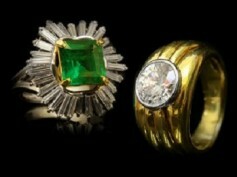 Discover one of the most prominent design eras in history. 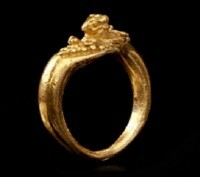 Introducing our book 'As Endless Is My Love As This: A History Of Marriage Rings'. 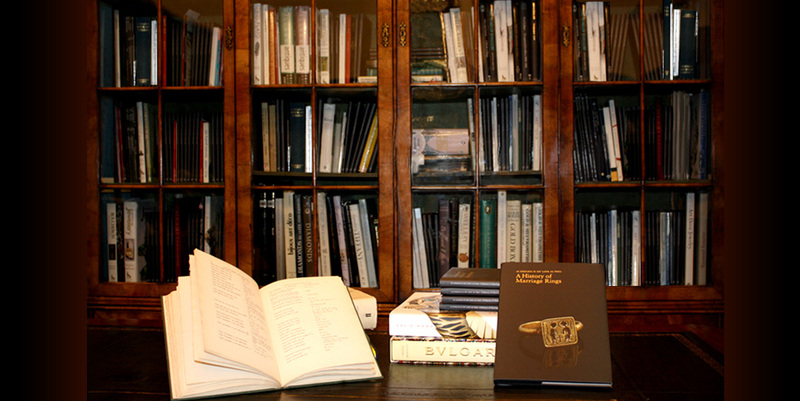 Oscar Heyman have been creating some of the finest jewellery for over 100 years, learn more about this important jewellery manufacturer. 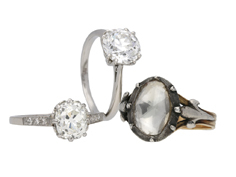 Discover the features of this attractive gemstone, the most precious member of the quartz family, and its role in antique jewellery. 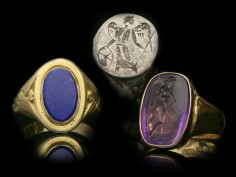 Engraved gemstones have been among the most highly prized objects in a wide variety of cultures from as far back as 5000BC right up to the 19th century. 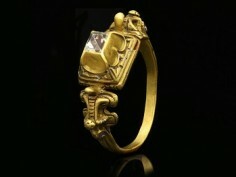 Discover the history behind this revered ancient art. 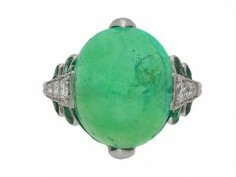 Due to unique characteristics and rare qualities, emerald is one of the most prized coloured gemstones on Earth. 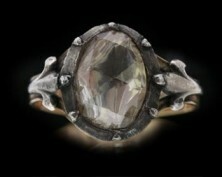 Discover more about the attributes of this mysterious stone.